Businesses around the world know that change is constant. New technologies emerge at an increasing pace and customers gravitate towards the solutions that are the most user-friendly and easiest to use. As change is constant, the organisations that engage these customers and therefore grow their own business are the ones who are best at implementing change. We utilise cutting edge technology solutions to implement a new digital core for our customers’ business. We believe that automated business processes and improved user experience are the cornerstones of a successful transformation. We deploy redesigned and standardised Business Technology practices and help our customers to redesign and implement their new, digitised and automated business processes. Our experts are the best people to build and run Business Technology. Sofigate’s BT Academy helps customers to update their skillset to match the requirements of the new environment. Strategy and governance are the cornerstones of professional Business Technology management. In the fast-paced digitalized world they matter more than ever. We help our clients to design and build technology management operations, organizations, and processes to create value for their business. We also understand that creating strategies is not enough. Success is about knowing how to execute strategies in practice and understanding how to link robust operations with new digital strategies. Leading digitalization – both people and technology - is the very core of our expertise. Business is technology. Digitalization is based on information technology and is challenging technology designers to become a proactive business partner. New concepts, ideas and technologies need to be identified, understood, evaluated and put into business context. This requires expert market knowledge, an agile approach to technology adoption and deep conceptual, technological and architectural knowledge, coupled with a strong understanding of business. Our experienced architects understand the full picture of a company’s technology landscape and are able to analyse which emerging technologies fit the needs and objectives. Sofigate’s approach to Enterprise Architecture is visual, quick, communicable, and business-centric. Digitalization is challenging traditional vendors and creating new opportunities for value creating ecosystems. Sourcing best fit business solutions and services has become more challenging and more critical than ever before. Sourcing is not only cost optimization, it is about business value maximization. Agile and business driven sourcing process is essential for ensuring successful and accurate technology implementation and deployment projects. Latest market knowledge speeds up the tender process and ensures best-fit services and contracts. Finding the best possible partners is the key element for creating new business. We help you to plan innovative business technology services and to find the right partners to implement them. The number of skills and competences required for professional information technology management is not fully scalable with the size of the business. The required expertise level is not very scalable either – you cannot take business risks with non-professional experts in sourcing, architecture, security or project management to mention a few. We have all the expertise needed to run IT for the business. We can take full responsibility of all aspects of business-aligned IT leadership and run it as a service in close cooperation with your business leaders and under the command of the CFO or CEO of your company. Our strength lies in our skillful teams that can offer both continuity with dedicated people and scalability with on-demand use of our experts. The team is equipped with best practices and tools and is up and is running, with full strength, in few weeks. Change is the steady state in the digitalized world. Becoming a frontrunner in the era of digital transformation demands perfectly orchestrated change and development management. We guide you through the business, information, process, technology and organizational changes necessary to successfully execute your strategies. Successful project management also requires discipline with project portfolio, agile practices, business steering and people engagement. We adopt the latest best practices, and lead the development with technology enabled agile decision making. We complement our project management best practices with tools such as Roundtable and CloudCouch. A competence pool of more than 250 effective and competent project management professionals is at your service. Service Management plays a key role in accelerating digitalization and enabling better services with high reliability, security and cost efficiency. Business is more reliable on information technology services than ever before. At the same time, the service development ecosystem is becoming more extensive and more complex every single day. Automation and robotics are making a huge difference in cost efficiency and quality. Sofigate is the forerunner in developing best practices and operations for Service Integration and Automation. On the other hand, we help our customers to shift their focus from incident driven operational service management to business-driven service design and development. We partner with the leading technology companies to enable service automation. Digitalization, as its best, creates new, innovative business models and processes. What it does every single day is simplification and automation of existing workflows and business processes. Artificial Intelligence (AI) and Digital Workers are changing user and customer interfacing services, while Robotic Process Automation (RPA) releases humans from routine tasks to more creative business tasks. We have a long experience in driving efficiency through Business Service Automation and IT Service Management (ITSM) tools. We serve our customers with a 100 people Center of Excellence for Enterprise Service Management partnering with the globally leading technology companies ServiceNow, BMC Software and Apptio. The ongoing technological transformation requires constant renewal of knowledge, skills and abilities. Business Technology Academy combines the latest best practices, frameworks and models with insights and real-life case-exercises brought by experienced managers and experts. Various open and customer-specific training programs help to keep the employee competence level up-to-date with the requirements of a modern business technology organisation. Sofigate’s Roundtable enables you make better decisions faster – without having participants in the same place. It’s an online facilitation tool combining agile methodology, workshop facilitation expertise and social media environment. Sofigate is one of ServiceNow’s biggest and most experienced partners in Nordics. In addition to ITSM in IT, ServiceNow can increase productivity for many other organisational functions such as customer service management, HR, Finance and Facilities. Bmc’s Remedyforce enables you to deliver high-speed service management that empowers users and accelerates the business. We have a long partnership with BMC and an extensive experience of RemedyForce. UiPath is the leading enterprise Robotic Process Automation (RPA) solution for expediting operational processes, increase agility and deliver greater value to customers. Our offering includes cloud-based RPA solution which helps organizations to automate their rules-based repetitive manual business or supporting processes. Sofigate relies on Cloud Coach to deliver project and development management solutions to support the transformation of your business and operations. You can optimize your development portfolio, steer the development project and ensure you have all the required resources for its execution. To create business value with Enterprise Architecture, a visual and easy-to-use EA tool is needed. Arter ARC from Arter Oy is Sofigate’s choice for this purpos­e. It is the leading SaaS based solution in the market. We provide Arter ARC for you readily configured with best practices and metamodels. Our experts help you also with necessary training, coaching and advisory services. Apptio is the business management system for hybrid IT. Its applications align technology investments to business priorities, engage business stakeholders to drive accountability and value, and optimize and increase efficiency of hybrid IT resources. Service-Flow is a software service provider, which specializes in developing and producing ONEiO™- the Global Integration Hub. Service-Flow enables their clients to integrate seamlessly internal and external customers’, suppliers’ and subcontractors’ tools and processes just by subscribing to the ONEiO integration hub. Read about ONEiO by Service-Flow. 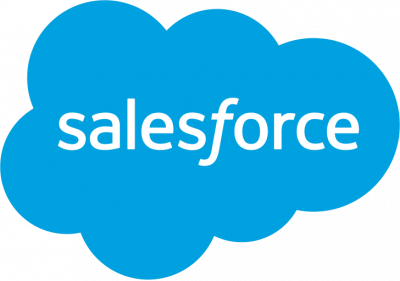 We help our customers to implement and develop Salesforce systems. We have done numerous Salesforce Sales Cloud ™, Service Cloud ™ and Community Cloud ™ implementations as well as the Force.com platform custom development. Every customer is important to us and therefore our customer satisfaction is the highest among Finland’s Salesforce consultancy partners. Our ambition is to make S/4HANA implementations as business projects, not only as IT-projects. We see that moving towards S/4HANA is not only matter for IT-department. It involves both business and IT. As S/4HANA becomes as digital core for enterprise, it creates whole new kind of opportunities for business, business processes and modern customer & user experience. Read more about SAP S/4HANA. Cloud based ERP for fast-growing, mid-market businesses. Connects every function across your company, from finance, CRM and HR to project management, supplier relationship management (SRM), and supply chain—on a single, unified cloud solution. No IT investment needed. Easily go from 20-10,000 users. Monthly subscription fee model. Read more about SAP Business ByDesign. NetSuite is the leading integrated cloud business software suite, including business accounting, ERP, CRM and ecommerce software. As a true cloud service, NetSuite is growing and developing with the company, and traditional ERP system upgrades are no longer needed. Read more about NetSuite here. We at Sofigate help our customers to grow and boost their business with Oracle solutions. We are the most skilled Oracle CX partner in the Nordics and deliver solutions for multinational companies and public sector needs. Read more about Oracle CX. Sofigate helps you digitize your HR processes with help of Oracle HCM solution. We are experienced in Oracle HR, or in modern words HCM Cloud, consultant partner in Finland. Oracle has awarded us as a Saas/Cloud partner of the Year four times in a row. We implement HR system projects and help you develop business-oriented HR in simple and agile way. For us every customer is important and therefore we aim to long-term customer relationships in consulting of strategic HR systems. Read more about Oracle HCM Cloud. IT Standard for Business brings together the cornerstones of professional IT management. Sofigate clearly understood that a successful Enterprise Architecture cannot be created in a vacuum. Deployment of the latest SAP system ensures that we are able to develop our financial management to meet the growing requirements. Having an outsider’s viewpoint and review is extremely important to us as we get not only objective results but new insight for the future. Sofigate really succeeded in involving our employees in the process. We feel confident this change is truly making a difference in how projects are managed and run at HSL. We had full confidence in Sofigate's expertise in successfully executing IT transformation processes. Users have been very pleased with the solution and taken it into use faster than in most R&D projects. In the near future, Salesforce will act as the engine at the heart of the Music Centre.